Companies selling B2B (wholesale) to retail stores and other business customers. Works for gift & homewares, food & beverage, hardware & industrial, apparel, consumer goods and more. Questions? Contact us for a custom pricing plan for your deployment. Handshake Rep is the leading B2B order entry platform for manufacturers, distributors and wholesalers with sales reps on the road. Gives reps the power to write orders fast, with all customer info and history on hand. 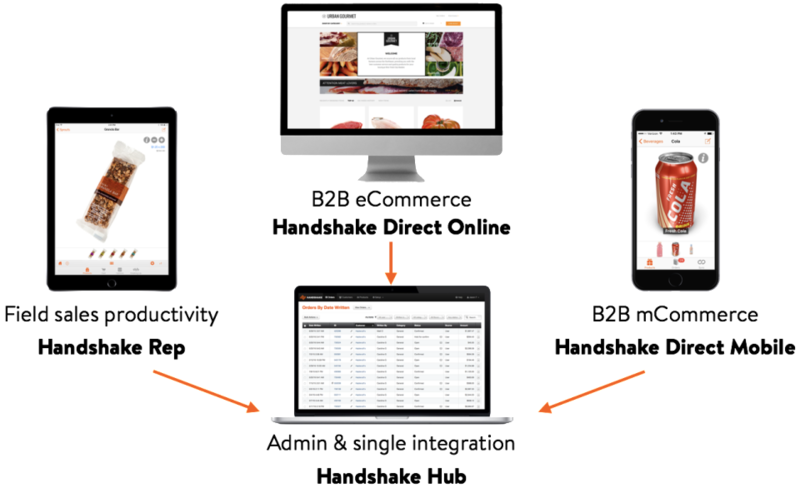 Handshake Rep is fully integrated with the Handshake Direct B2B eCommerce website and mobile app that gives your customers 24/7 convenience of online ordering. Capture orders from all of your B2B sales channels with Handshake, integrated to your ERP. Makes writing orders or suggested orders quick and easy. Pros: Visual format, makes order easily readable by customer. Quick and easy to reference previous orders and info. Overall: Makes writing my orders very quick and convenient; valuable organized history of customers' orders, as well as a professional looking format for order confirmations or suggested orders. Comments: We provided our 65 sales reps with iPad back in 2010 and wanted to utilize it to it's full extent with apps that saved the sales reps time and saved us money. Handshake accomplished both of those. Back then- sales reps were handwriting order forms and faxing them to our customer service dept. Then we had 4 people in our home office manually entering those orders! That is so much wasted time on both sides and there was a lot of room for error. With Handshake- our sales reps can easily find the product, show the images to their account, and place the order within a few minutes. Then the order is sent directly into our system- no more manual data entry. Time saved by the sales rep- 1-2 hours each day, which means they could see an extra customer during the day (and make another sale!) or not have to work at night. Time saved by the home office 4-5 hours per day. Now 2 of those 4 people in our home office have been moved to other open positions in the department, saving us money that would have been spent hiring someone new. Overall the experience with Handshake has been exceptional. It's a great product, easy to use and very efficient. We now have over 200 sales reps internationally that have been using Handshake for almost 4 years and they love it! Pros: Great customer service, very knowledgeable and courteous. They have a great team at Handshake- from the CEO to the Customer Support Specialists. There are no regrets with choosing Handshake for our sales rep ordering tool. Cons: Just keep doing what you are doing Handshake! Pros: Writing, confirming, and tracking Purchase orders is simple for factories, reps, and customers. Order writing can happen while walking on the sales floor with the buyer and looking directly at the current inventory on hand. 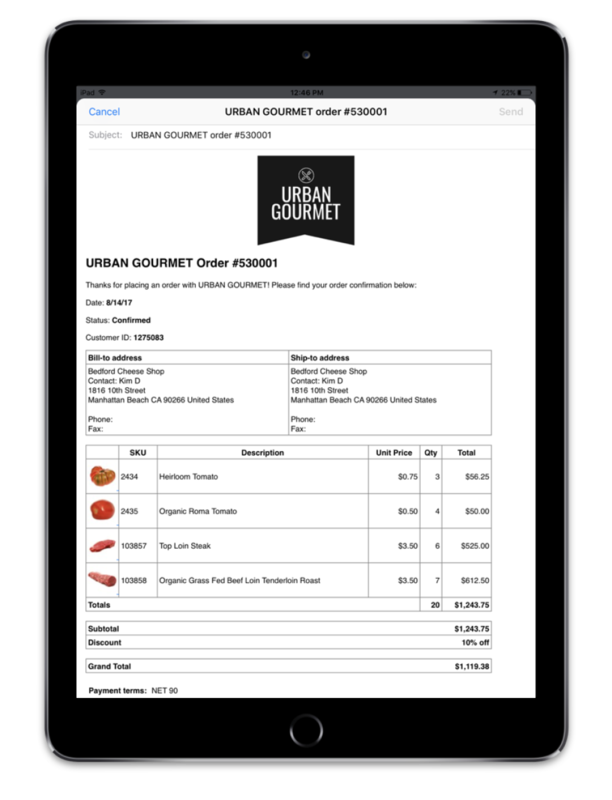 Many Customers do not track their Purchase orders very well...so we are able to send them a copy instantly to their email....and they never "don't remember placing the order". orders can be easily split for multiple ship dates. Cons: information in the order history changes when products are discontinued. It makes finding replacement with current product offerings more difficult. Comments: For producing orders quickly and reliably there is no equivalent app for electronic devices. it is slick and easy to use for my sales team. I use it on my iPhone 6 plus as my preferred device for creating orders as the iPad is sometimes not on me so I can run everything from this device including upto date sales reports. If a customer rings I can do the order there and then while on handsfree. I have all there sales history and the sales can be confirmed, emailed to client and in the office within seconds of saying good bye to my client. It does not get any better than this for creating orders. Pros: We get hundreds of handshake orders every week from customers big and small. The onboarding was fantastic and I enjoyed my weekly calls with their integration specialist. The software was flexible and was able to adapt to our company needs. Cons: The sync had unanticipated challenges and though improvements are being made created some issues for customers. The development has been slow for custom features that are company specify. Overall: Great. We are able to service customers with technology that is advanced and feels cutting edge. Customers love the pictures and being to see you new items. We're now starting to offer programs through handshake and I have also benefit from having an online website which is in past What is an underappreciated feature by chex. Pros: Handshake has brought efficiencies to our sales and fulfillment process. We've also been able to use it to take our inventory, saving us hundreds of hours of manual work. Our branches are able to fulfill orders faster which makes our customers happier too! HSDO has helped our customers order more product from us and opened up time to have more meaningful conversations with our reps too. Cons: This is quite minor but I wish there was a bit more I could do for our online, customer facing portal. But really, that's just a cherry on top. Overall: Working with the Handshake team to launch the app and online experience to our teams and customers was nearly flawless. Some programs can cause "pain and suffering" but I've never been frustrated with using the system. I think that's partly because the Handshake onboarding team taught me so well but also because the software is so easy to use. 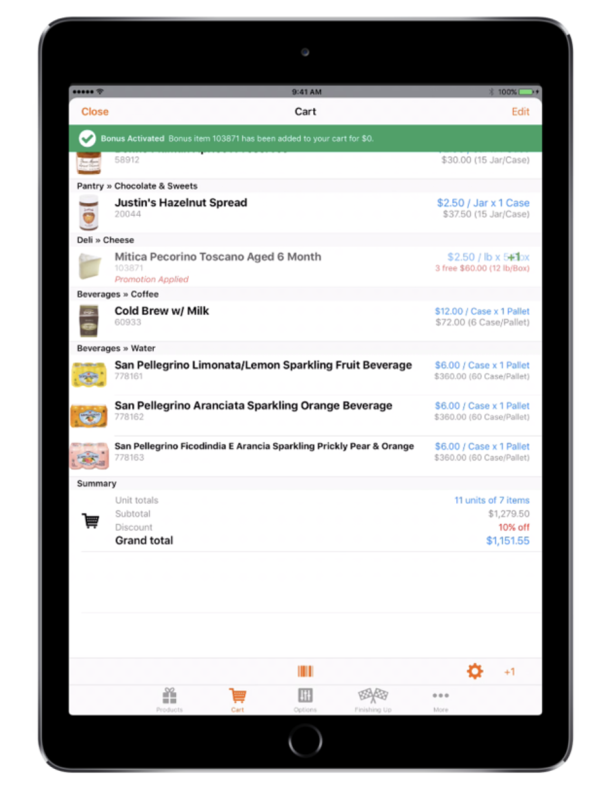 Pros: Handshake makes inventory management, POS, product upload a breeze. Beyond, handling our POS, we often turn to handshake just to quickly access skus and product images as reference because of its ease of use. It also serves as our primary source for CSV organized exchange of product and price information. Highly recommended. Cons: Would like to see it on Android as well as iOS. Overall: Extremely easy to use and effective software, outstanding responsive support. Highly recommend company and product. I love that it is easy, simple, and quick! Pros: What I like most about Handshake is that it is a simple set up process to enter customers and products and customer service is great! It also has Q & A section and tutorials available which is so helpful. Cons: What I like least about the software is that it needs to be available on tablets also not just ipads/iphones. I would also like to be able to run reports from the desktop version instead of switching between the ipad and computer. Pros: Simplicity of order entry for my reps in the field and the ease of updating multiple lines. Cons: It not available for other platforms like android or windows. Price breaks do not add up when a product has multiple variants. Overall: I have been using Handshake for over 5 years and it's helped me grow my business from one rep to 10. We sell products for 16 different manufactures and it's has become my teams sales catalog. Can't see doing outside sales any other way. I have found the app easier to use than other apps in the past. Pros: I like the ease of finding products by category and brands, I often skip ordering from another vendor because using handshake will save me time. Cons: I don't like that when using the camera feature I have to press camera before every use, I would be happier if after each scan it would just automatically go to my camera. Overall: It saves me a lot of time in placing my orders and I like that it gives me a total for my order right away. Pros: I love that it includes images and sends the customer pictures of what they ordered. We have a Christmas-based business and sometimes our customers will buy something in February that they don't want shipped to them until October so being able to remind them with pictures of what they ordered is fabulous. Cons: Does not track inventory levels. I would love to put my inventory numbers in before a trade show so that I don't oversell beyond what I have in stock. It would also be great if we could invoice customers. We have a Christmas-based business and sometimes our customers will buy something in February that they don't want shipped to them until October so we often don't collect payment information from them at the time that they order. Then we have to call them before we ship their order to collect credit card information. I would love to be able to email them and invoice them directly from Handshake. Pros: Our sales reps range from 25 to 65, and all of them can handle using Handshake without problems! It's really simple to place an order, and follows a really intuitive path to getting the order in. Cons: Sometimes there are disconnects with using the program - like their servers will be down or you can't sign in. But that happens rarely. I use handshake to enter orders in my role in outside sales. Pros: I love being able to enter orders in the field, so they are place din real time. The product images are right next to the description, making it very easy to review the orders with the customer. Cons: I wish there was a way to integrate the items that are out of stock with this software, so we would not be able to place an item that is currently out of stock. Right now we have to make sure we are always aware of what is on the out of stock report, which our company sends as a daily email. Saves hours of time on order entry. Pros: I like most about eliminating double entry of orders. It connects automatically into our accounting software. 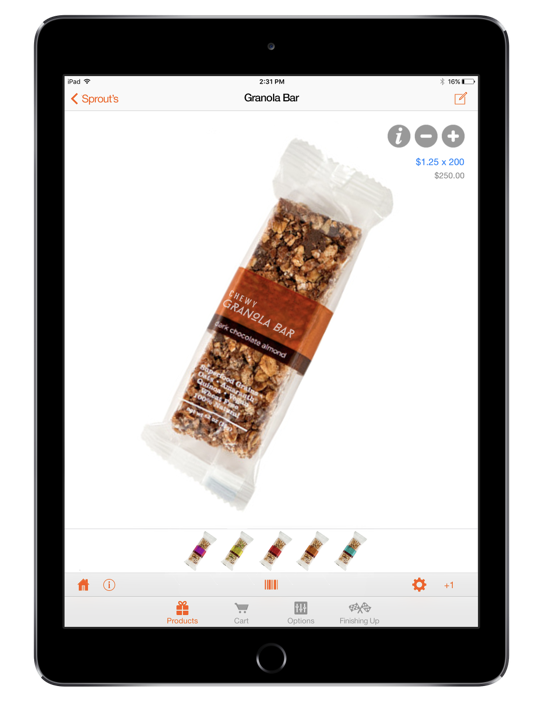 It's great to take the app as our catalog and skim through the products with a breeze. 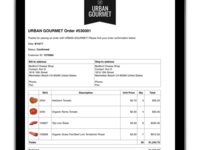 Being able to email the customer the copy of the order with the images is a great feature. Cons: When syncing, it's hard to troubleshoot what could cause the error. The system doesn't tell us exactly what is causing the sync error. UPC numbers has input manually. It doesn't sync with the accounting software automatically. Also new items takes longer to setup due to manual UPC update. Overall: Saving hours of order entry time and order taking time. Overall: Handshake really simplifies my order processing experience. Both at trade shows and in the studio, Handshake adds a level of professionalism in the appearance and clarity of the order and shipping-related documents we create. And the customer service team at Handshake is great to work with and very responsive to even our most trivial questions. Handshake has made entering and submitting orders incredibly easy and efficient....love it! Pros: Able to fix mistakes easily. Can change and duplicate orders in a flash. It flows extremely well with between customers and inventory. Cons: They added the ability to take notes on a customer...so nothing comes to mind. The fact that there are constant updates, means that it is constantly improving. Pros: I enjoy how easy it is to use, I love the simple format and it makes my job a lot more easier and organized. Cons: I don't like how sometimes it will crash..Although it always comes back with the option to go back to the order you were working on. There's not much else to say! Overall: Every customer now receives a well written, organized packing slip and invoice. Each order gets taken to the back for other workers to start pulling it and now there is less waiting time since there is hardly any confusion. Pros: Easy to use to send packing list or quotes to customers. Cons: It would be nice to have a sub category. In other words having location 1 with a list of product and then location 2 etc. Overall: Easy to use as long as it is only on one devise. I use to have it both on my iPad and iPhone but they could not since correctly. As a non tech 68 year old I was apprehensive, now I can't imagine doing without it. Pros: Simplifies the whole ordering process. Having a current inventory status info lowers Back orders. Cons: If you can find something you don't like about Handshake you had better bet that they will fix it fast. Overall: Simply put I get back my time with handshake. I do not have to write down orders or enter them in my lap top computer. It is in real time. 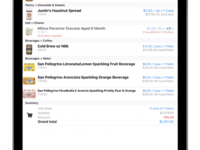 Pros: Its simple and easy to use, add products, check orders, order history and reports. Its great application for tracking orders at trade shows & exhibitions. Cons: a few time face issue in leading credit card information, however its great experience to use Handshake. Overall: mentioned in the pros. Pros: No more paperwork on dashboard I like I can get signature and email on the spot. I have my customer information entered and is easy to access. Pros: ease of use , catalogue, ability to apply discounts by customer. Overall: I have had a very positive experience with Handshake over the last few years, and I would definitely recommend it to other manufacturer sales representatives. It saves me a great amount of time each day. The perfect app for writing orders at trade shows! Comments: We began using Handshake almost a year ago for the trade shows our company personally attends throughout the year. Prior to Handshake everything was very analog for us, we wrote down orders on carbon copy forms and our customers left our booth with a copy of their order that was completely illegible (the carbon copies were a mess). This also meant none of our show orders could be processed while we were still at the show, because everything had to wait until we got back from the week-long show with the copies in hand before our team could start processing them. With Handshake, we take orders on our iPad minis and as the customer leaves the booth a copy of the order is immediately emailed to them as well as our team back at the office. This allows the customer to have a clear and concise record (with pictures!) of what they ordered and it also allows our folks to process the order immediately as opposed to waiting several days. Handshake has helped in countless ways and really we could not be more happy with how much more efficient we became! 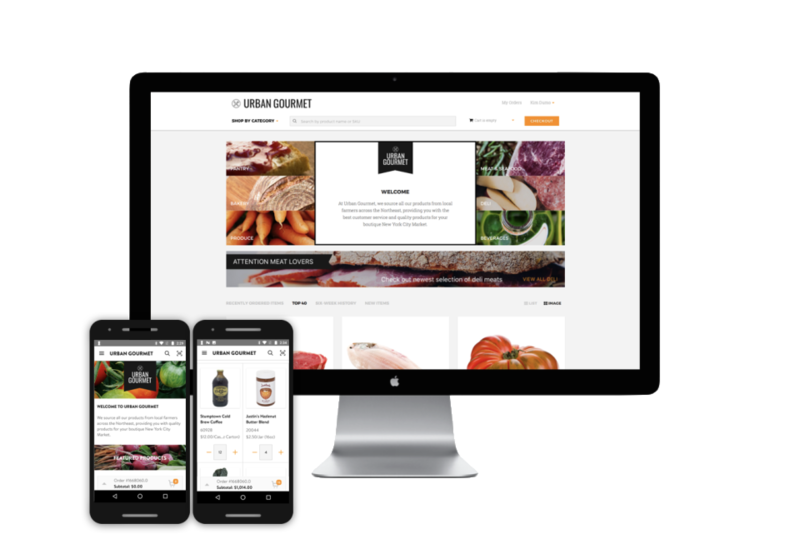 The user interface is clean and easy to navigate which is certainly important when taking a customer's order as it eliminates room for error. Comments: I'm an independent sales rep with multiple lines and have been using Handshake for over 3 years. This app never disappoints and has worked seamlessly on the road and at trade shows. I even use it when customers phone in an order, it is that easy and fast to use. And then with a couple clicks I can send it right on to my manufacturer and a copy to the customer. No more homework at the end of a long day! Set up is easy, and updating pricing and adding new product takes no time at all. The Handshake customer service team has been quick to answer my questions and they have an excellent understanding of what tools a rep needs to get the job done. Pros: Handshake has made order writing fun, for me and my customer. I have multiple lines at my fingertips with images, pricing and product details. The search feature works quickly and with 15,000+ sku's that's important! I could go on but I think the five stars I gave in every category speaks for itself. Pros: Software is very easy to use and processes very quickly. Really like the reports section and being able to see all orders from a particular time period. Cons: A little clumsy when looking at past orders for clients. List scrolls back up when get out of an order's details. Would like to see a list of products in the order history list for quick reference. Pros: Easy to use when in front of customers. Cons: Sometimes you have to go in an force it to sync. Overall: Overall I have had no issues. When I needed something changed, updated or have had an issue it has always been addressed right away. Pros: The flexibility and ease of taking orders during tradeshows really revolutionized how productive we were able to be during show periods. With a robust catalog, Handshake makes it seamless for us and the customers. Cons: There is no payment processing currently available to capture payments. Setting up skus is somewhat time consuming and manual. We recommend Handshake to everyone we meet. Comments: Elk is an Australian based fashion and accessories brand with over 800 customers worldwide. We have salespeople and rep groups on two continents, and multiple currencies all of which Handshake handles with ease. We have been working with the team at Handshake for over 5 years now, since the very beginning and couldn't be happier with the app and the personalized service that comes with it. Handshake has helped us to grow our wholesale business worldwide by putting product and sales information at our Rep's fingertips. Integrating into our existing accounts and warehousing systems, it allow professional, smooth and successful sales and distribution across the world. The sales, customer success and support teams are always available for fast responses to questions, and if you can think of a new feature, chances are it is already in the works! They're a fun and lively team, with their finger on the pulse, constantly building on an already great product. We love it! Pros: makes life easy when making a presentation. my accounts love it as they can see all of my collections without having to go through physical samples. Cons: when emailing orders in to my company, I do not know if the orders actually went through, even though I am told the email was sent. I would like an actual notification that the email was delivered. Save time on orders - make it easy, fast and reliable. Pros: Handshake is a slick, familiar interface on top of a highly manageable back-end hub. 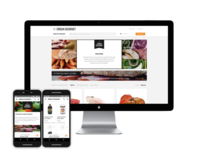 We chose this application in order to have static content not relying on an internet connection, and we stayed for the extensive customization and the well-written API. Cons: Handshake billing has proven to be quite inflexible about subscription and payment. If we pay on a yearly term, they outright refused a proration on accounts that we no longer find necessary. Managing incoming orders proves to be burdensome on staff - we could use more *required fields and validation options to ensure that we are collecting the correct info on the front end. We would also love to authorize cards on the go. Pros: Ease-of-use Very intuitive. It flows well for the different uses. Cons: Nothing I liked the old icons better. Overall: Easy to use and I would highly recommend it. Pros: Very quick, simple, and efficient to create orders. Great for sales reps on the road, which is primarily were I used this software and saw it being used by others. Could be a little pricey depending on your sales volume, but many will able to get way more than their money's worth out of it. Cons: I've had some software updates/syncs/etc load a bit slow at times. It's crashed before as well, but nothing out of the ordinary, I've used WAY worse software in my day, just nit picking so I can fill out the cons field. Overall: Overall this is excellent software, I highly recommend it to any traveling sales reps or anyone working sales in a high-paced environment where efficiency is king. Overall: great all around very easy to use and great face for your wholesale business. Pros: Easy to navigate. 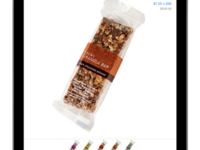 Love that you can attach photos of your products. 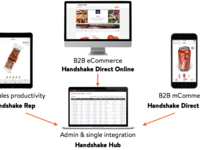 Syncs into our order software quickly! Cons: No order tracking. When there is an issue and you email support, they only have data for up to 5 days then all the information disappears so it is hard to solve a system issue. Pros: Ease of use. Easy to update products and add new ones. Pros: The ordering features and functions and being able to see how much a customer spends on product. Cons: Sometimes goes down and won't sync properly. Issues with credit cards getting pulled to our back end. Handshake has been great! Writing orders is so much faster and organized. Pros: Easy to use. Clean, organized and well thought out. I don't have to carry my laptop anymore for price sheets or program info. I have it all on this app. Cons: Needs a section for notes on each factory. I can add notes for each customer. I want the same thing for each factory. Overall: Faster order writing. No need to carry my laptop anymore. Can check prices for any factory and item all on one app. Using at trade shows, changed from clipboards to Handshake, best move. Cons: We used to subscribe monthly, to cover our trade shows. Now we have to scbscribe yearly, a big increase at cost. We are in thebprocess of implementing an ERP system, that will enhance our ability to have up to date info on the exhibition floor, we may or may not continue to use Handshake. Comments: My company has been using Handshake for over year for the sales reps and recently added the B2B capabilities. The ease of use and the ability to share accurate sku and stock info with our reps and our customers in an automatic fashion has made it integral to our business. We have seen double-digit growth from trade shows as well as significant increase in average order size due to the app. Handshake is more than just an online catalog for our business. At this point, it is a key tool for us to maintain and grow our business. Pros: The ease of the whole system - back and front end. Customer service is great. Our customers love it. Cons: Inability for customer requests, and subsequent details, to be automatically uploaded for instant approval from us. Also, managing stock on handshake rather than exporting and importing files. Pros: The customer service has been awesome, everything we've needed to support our order processing has been addressed and worked on. I look forward to continuing to work with Handshake moving forward! Cons: It is not intuitive to change and update order data. It isn't difficult, just hard to figure out if you're not familiar with it. Pros: Its a super easy B2B platform, good for small businesses! Also has a great customer service. Cons: It could take some time to upload information but its not a big deal. Pros: We are a larger company that added Handshake to assist us at gift tradeshows where we do not have traditional showroom representation. The software helped us to upload our customer and product list so we could write orders in real time during the tradeshows and send order copies to our customers immediately. Cons: At times, it was not efficient enough to set up a new customer in the moment. We often would physically write the order, then transfer it into the software as time at the show would permit. Overall: Overall, I think Handshake is a great tool for companies without an existing order/inventory system. While it was a nice-to-have for us at shows, it was the only time we used it and could no longer warrant the expense to keep it.